So you found your special someone, how awesome is that?! A big welcome to our Wedding and Engagement Photography portal and congratulations! 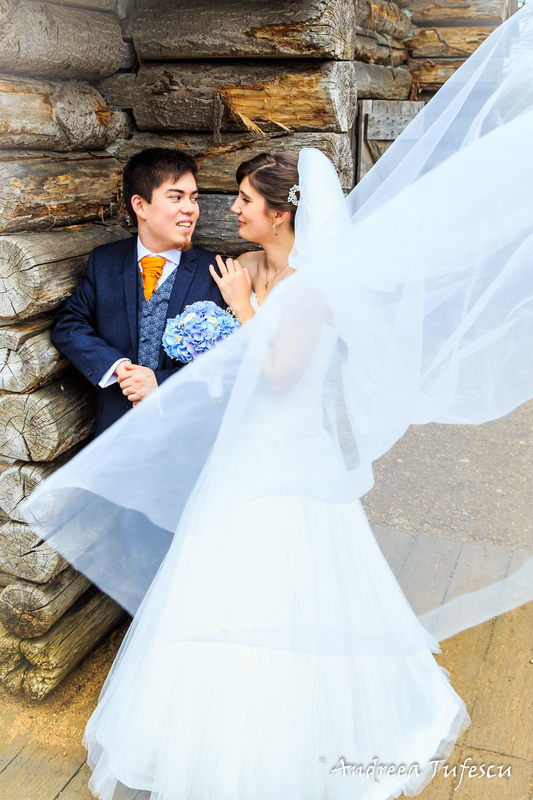 We're Andreea & Adi, wife and husband team in love with photography. Together for over 15 years, we're west London based but globetrotters at heart, always intrigued by the next adventure in our life! Both music and travel addicts, street art and outdoor lovers, collectors of happy memories from around the world, we're also fans of unique weddings and fellow soulmates planning their big day THEIR WAY. We can't wait to hear your story, how you're going to celebrate it, and more importantly we look forward to preserve every precious detail of your upcoming event! As alternative wedding fans, passionate photographers who love all things creative, offbeat and far-from-the-ordinary, we created Portraits of Love as a service offering professional photography for unconventional spirits. From pre-wedding / engagement sessions to wedding photography on the big day, from elopement to destination weddings and fun trash-the-dress photoshoots - we put our heart & soul into each event, aiming to capture our couples at their very best. In essence Portraits of Love channels the way we wanted our own wedding photographed. It's all about friendly service + pro skills + fun and vibrant images + authentic storytelling + preserving beautiful moments. It's a colourful alternative to boring photos & clichés, designed for fearless brides and generally awesome humans. Unlike all my portraiture and event photography services, for weddings I work with my other half, husband & best friend Adi, so your big day is captured by a team of two photographers who love to travel & meet people, and who appreciate genuinely cool, creative personalities and like-minded couples. Having experienced our own wedding day planning, emotions and everything in between, we understand our clients better. We're there to be friendly, sociable and professional, and as present or invisible as you need us to be. Our amazing photography packages provide awesome value for different wedding budgets, so you can rest assured that your memories of the day will be captured by professionals, while lots of photo goodies will be already included with your booking. So if you're intrigued or feeling tempted, but still want more info on specific things, please visit our wedding photography Frequently Asked Questions page. If all is cool and clear and you just want to book or enquire about your date, then stay calm and fill out the Contact Form instead! We're happy to listen and answer any questions! What is your ideal way to spend a day off from work? Thank you for reaching out! We'll get back to you as soon as possible! Weddings are beautiful, but they go by just like a dream... We know, we've been there! Your day is oh-so-special, the emotions so intense and this once-in-a-lifetime event receives so much thought and planning in every little detail... The dress, flowers, the rings, the venue, the wedding cake - most of us spend months or even years dreaming up the perfect day. Choose the right photographers to capture it all for you, and your wedding imagery is turned into amazing, timeless memories, and blissful moments are frozen in time forever. For us photography is the ultimate way of crafting lovely visual narratives, so that years down the road you can re-live your fairy tale... So have a look around to get a sense of our style, see who we are & what we have to offer. And if you feel that we 'click' and want to enquire about booking us, just get in touch via our Contact Form. Feel free to have a browse around the website and if you like what you see and think we are meant for each other, then do contact us as soon as you've set your date. We are available for a wide range of photo services, alternative wedding photography, engagement photos & love-the-dress sessions, not just in Hammersmith and west London, but all kinds of lovely locations in Surrey, Hampshire, Oxfordshire, Essex, Cambridgeshire, Kent, Berkshire, Herfordshire, Buckinghamshire and so on.